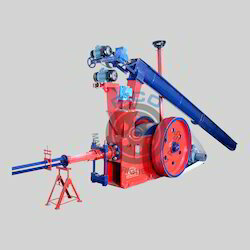 RICO is leading manufacturer of briquetting machine since 1991. To make briquettes there is a need of jute waste, almond stalk and other forestry and biomass waste. So it is also known as jute briquetting machine. These all the material fed into briquetting machine to make briquettes. The suitable raw material to make briquettes are sawdust, tree bark, jute waste, groundnut shell and many others. RICO is leading supplier and manufacturer of briquetting machine and biomass briquetting plant. Briquette plant is used to make fuel from waste material which is best option to replace coal and lignite. Radhe Group Rajkot is a leading manufacturer briquetting machine company in whole world. The major residues are rice husk, coffee husk, coir pith and other raw materials. As briquettes save environment and we also provide best briquetting machinery, manufactured with modern and well equipped technology. The jute waste briquetting machine provides the ecofriendly energy and briquettes are made from leaves, tree wood bark and saw dust waste. Generally waste material burnt inefficiently which cause pollution but biomass briquette plant through we can utilize that material in a better way and this is totally ecological way to get fuel from waste. The development as well as propagation of the green briquette plant is necessary as it is green project and viability of it is very high. Briquetting project is also known as go green project because it help us to save environment and biomass briquette is renewable in nature if once finished we can get back. And RICO is well known briquetting machine supplier.